A strong earthquake of 6.9 magnitude struck off the southern Philippine island of Mindanao on Saturday, raising fears of dangerous tsunami waves across the region, but after about two hours, the tsunami warning was withdrawn. There were no reports of casualties or damage from the earthquake, which the US Geological Survey (USGS) said struck 193 kilometres east of the Philippine city of General Santos, at a depth of 60 km. 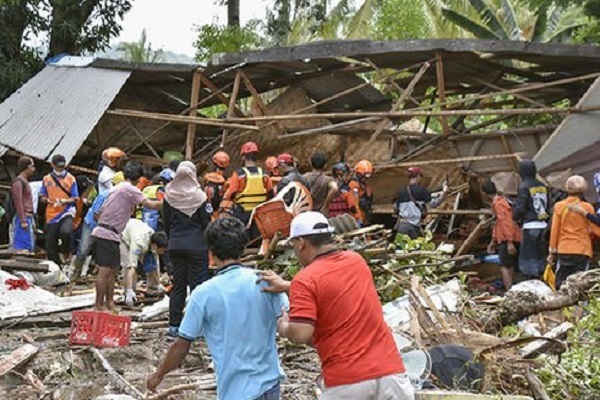 The Indonesian islands of Geme and Tabukan Tengah, and Davao in the Philippines could all experience the damaging waves within the hour, reported The Sydney Morning Herald. The Pacific Tsunami Warning Centre initially said "hazardous tsunami waves" were possible within 300 km (186 miles) of the epicentre", along the coasts of the Philippines, Indonesia and the Pacific island nation of Palau, reported Reuters. However, about two hours after the quake struck, the centre said there was no longer a tsunami threat. Residents of the southern Philippines said the earthquake lasted about a minute and people rushed out of buildings but there had been no major damage, it stated. Jonna Ramos, who works at the Anchor Hotel in General Santos, told Reuters: "I was at the front desk and saw the chandeliers swaying." Clinton Polancos, an official in the southern district of Governor Generoso, said: "We've alerted the communities for possible tsunami. "We're fine. The earthquake was not destructive," he added.